Hooray! The bare minimum of human decency is now policy! Reddit has never been a place where you could necessarily connect one user with one account. Parody accounts are commonplace -- to a fault if you ask some -- and there have been more than one fiasco involving users who pretend to be different people with different accounts; it's crazy. It's also extremely fitting. Why? Because when Reddit was first started, it was populated almost entirely with content submitted by fake users. Five years ago today, social news site Reddit, the brainchild of recent UVA grads Alexis Ohanian and Steve Huffman, witnessed its first-ever post. (The site would wrap up private internal alpha testing and open to the public five days later.) Reddit's core idea -- users submitting links to relevant news stories and Internet ephemera and upvoting or downvoting each other's submissions, producing a publication of sorts with minimal interference from top-level editors -- wasn't particularly groundbreaking. Digg had launched in December of 2004, and both sites were arguably grandfathered by the moderator-run Slashdot, which launched an unfathomably long time ago, back in September of 1997. 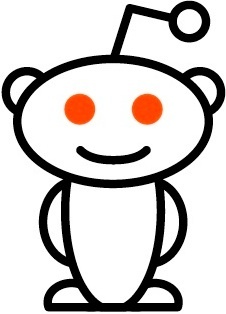 The world of social news sites has gotten more and more crowded since 2005, but Reddit, while not perfect, remains the best and the fastest of the lot. Reddit, which is now owned by Condé Nast, isn't a moneymaking giant: Its admins regularly complain about their relative lack of funding. But the online media increasingly depends upon it.